Fiction can change your life. Also, answer me this. Fiction can change your life. Here, I’m specifically talking about books. It’s actually very easy: you read a book and you yourself are an open book, ready to ingest what the book tells you. You may not do it uncritically, but fiction has a way of catching you unawares. I also know that fiction can change your life because it has done so for me. It has done so at least three times in major ways. 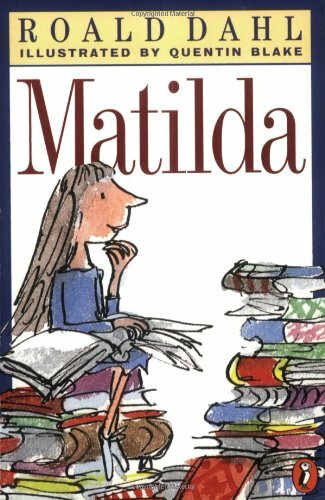 The first was the book Matilda by Roald Dahl, which I consider one of the greatest masterpieces of children’s literature. The way that it changed my life was by opening my mind to a new understanding of the power of books to bring about emotions and love. Matilda was, for me, almost an avatar of myself in literature. Her love of books mirrored my own. Did I have special powers? No. Was I in a horrible family situation? Absolutely not, my family is and was amazing. What Matilda did for me was to make me realize that the love of books was something almost necessary to my existence. It created in me a desire for fiction that still cannot be satiated. I admit that I have read this book more than any other. I think I have read it easily over 100 times. I used to grab it and a cup of tea (just like Matilda did!) when I was young and sit in my mom’s office at school and read the whole thing. Another book that changed my life was C.S. Lewis’ The Screwtape Letters . I read this when I first began thinking very seriously about faith and Christianity in particular. I remember seeing this book in my dad’s collection and on others’ shelves, but always thought that it was just some boring old book about religion. Who cared? I read the book and realized that religion touches on every aspect of life. Lewis, for me, awakened a love of reading books about Christianity and religion, and he opened the doors for philosophy of religion as well. This fictional book has very much shaped my life in many ways over the past several years. Were it not for this book I probably would not be writing on Christian philosophy and apologetics at my other site. 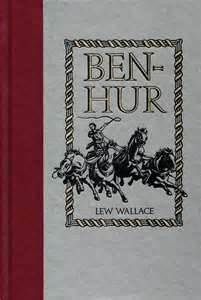 Finally, the masterful Ben-Hur by Lew Wallace, a book which continues to inspire my vision of life. Ben Hur is my favorite movie of all time, but I had never read the book. I mean the thing was written in 1880, so I figured that it didn’t really have any relevance today. How wrong I was. The book is simply astonishing in its scope. The tumultuous action, the beauty of romance, the bitterness of revenge, and the trials of faith are all portrayed vividly by Wallace throughout. However, it wasn’t so much the story itself that inspired me, but the fact that it opened my mind up to a whole new reality: books that weren’t written during my lifetime are relevant and awesome. I know, this seems absurd to deny, but it is easy to fall into this feeling that only those things written now are good. The things written in the past are just old fashioned and out of date. Ben-Hur changed that for me. It gripped me throughout and delighted me. I now often read “old” books and find I enjoy them greatly–often more than modern works of fiction and non-fiction. Now, answer me this: have you ever read a book that has changed your life? If so, which book was it? How did it change your life. Leave me a comment to let me know. I want to know!